Play 4inarow with anyone from around the world. Build your own social network of game loving friends. You can chat and play, send funny messages and show off your skills. 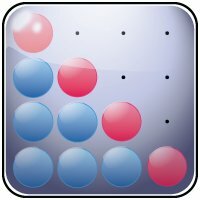 Get 11 more games such as: Backgammon, Reversi, Checkers, WallBall and more.